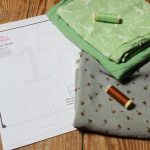 On a whim I applied for a pattern testing for Sinclair Patterns. I never sewed a Sinclair pattern before, so I was quite exited when I was chosen as a tester. The new pattern is the Danielle Batwing Top, a loose fitting top with tight cuffs and bottom band which allows to drape the top in different ways. The pattern is well drafted and the instructions are easy to follow. I liked especially the pictured tutorial. On the downside each size comes in a separate pdf file, so you cannot easily blend between sizes. 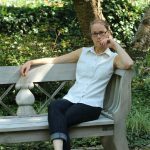 For this top I sewed a size 2, even if my measurement put me to a size 2 for the bust and a size 4 for the hip. 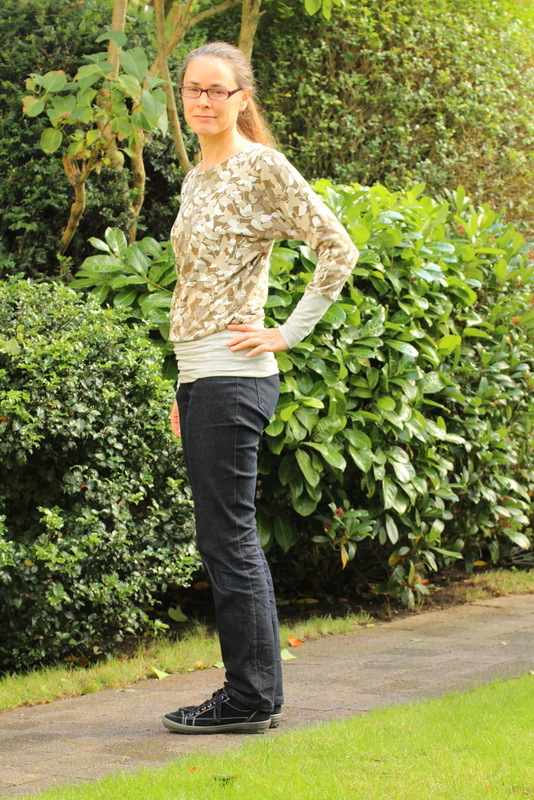 You need a knit with a very good drape to get oust most of this top. I knew that I would have to buy fabric for the test. But a nasty cold kept me in bed during the only day of the week when I would have had the time to go fabric shopping. In the end I destructed a knit dress that I loved a lot but did not wear anymore as the rayon knit had streched over time and the neckline had become too low for my liking. I had to do a lot of piecing and still use a different knit for the cuffs and bottom band. Due to the busy print the piecing is not too obvious, I think. I am a bit sad though that the dress does not exist anymore. I need to make a new one. This is a size 2 out of the envelope. Only change I made is that I kept the longer and wider sleeves from the first test version. If I want to I can pull the sleeves over my hands which is great for somebody like me who is cold easily. 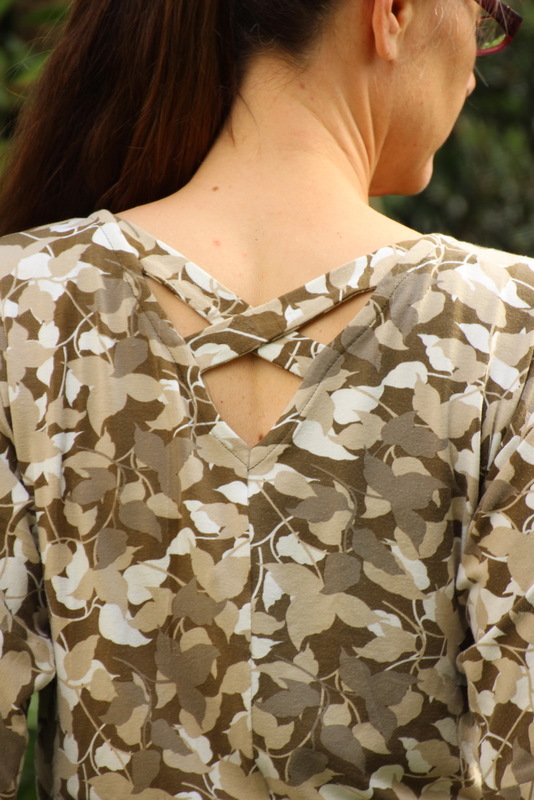 The Danielle Batwing Top is easy to sew. 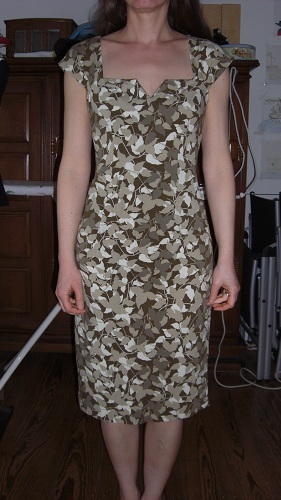 It is just shoulder and side seams, adding straps and neckline and then the cuffs and bottom band. The most “difficult” part is the straps/neckline binding. With the pictures and clear instructions this is easy going as well. It was a nice experience to test a pattern from a different company and the top itself is also a bit out of my comfort zone. I did not expect it to be so comfy. The perfect top to spend the day at home. With a different fabric choice it can be dressy for an evening out. 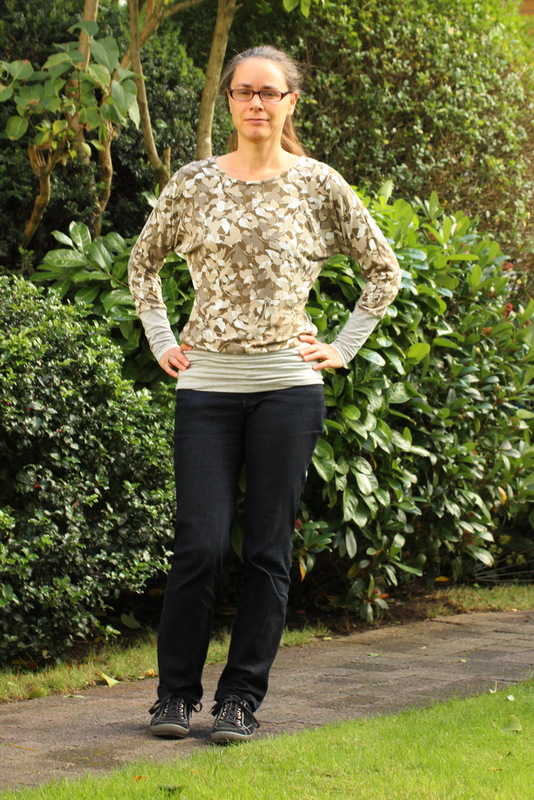 I am not sure if I will sew the Danielle Batwing Top again as this is a quite unique style and at the moment I have enough long sleeved tops/pullovers in my wardrobe.